Catastrophic events are simultaneously occurring in the area of Thousand Oaks, CA. 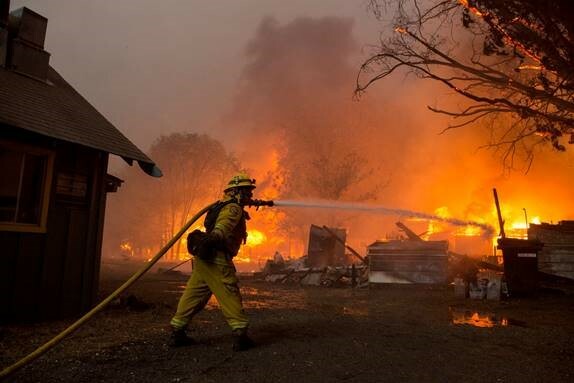 Massive wildfires are forcing the emergency evacuation of Ventura County residents while the community collectively grieves in the immediate aftermath of the tragic mass shooting that resulted in twelve fatalities. Victims affected by concurrent tragedies are confronted with challenges they have likely never experienced before. In the aftermath of disasters and catastrophes, multiple complex factors impact survivors and their ability to effectively access supportive resources. Unfortunately, survivors often experience seemingly insurmountable obstacles while attempting to apply for or gain access to emergency resources. Individuals and their families face unanticipated, frustrating delays in addition to secondary victimization as they attempt to predict the extent of damage to their property and homes. We are ready to respond to the needs of our clients. Remember to keep safety a priority, for you and your family. Please comply with evacuation requests. Remaining behind can put you in additional danger and increase the risks for first responders. Move to areas that are not within proximity for smoke inhalation. Maintain contact with friends, family and coworkers and utilize social media “check in” pages. Wildfires are unpredictable. The aftermath of each incident will be determined by level of impact, proximity, duration, scope, and weather for the surrounding area. We will closely monitor these events and provide additional information as it becomes available. In the interim, visit FEMA’s website to learn more about Resources for Wildfires.